Office for Mac 2004 will not (ever) work on Lion, as we stated in our original blog. The reason for this is because Office 2004 was a PowerPC-based product and Lion no longer includes Rosetta. No more white screen staring back at you. No more click this click that dilly-dallying to get to your words. 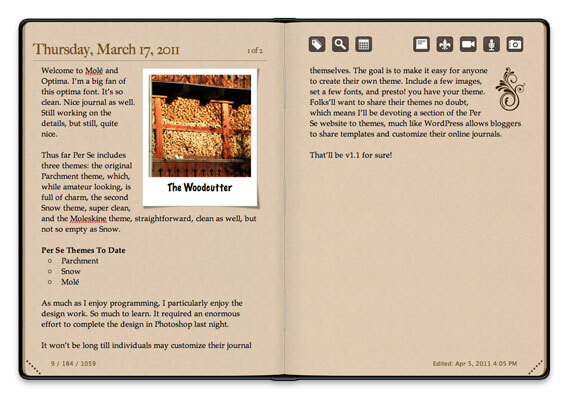 Per Se is journaling software with an emphasis on what matters most: writing. Time Sink automatically tracks the time you spend in all your programs (and windows within those programs), and creates reports showing your usage of those programs (and windows)…all without you having to do anything other than launch the program. Pixelmator 2.0, codenamed Chameleon, features drawing tools, Content-Aware technology-based Fill, a Healing Tool, new retouching tools, a Smudge Tool, and more.